Writing an Offer to Purchase – The Basics | Your local real estate experts. That sounds dramatic. It sounds like a cliché. Every real estate book or article you read says the same thing. A transaction is considered “closed” once all parties have signed the paperwork at the closing table. Then you own the home. However, it is not always possible for you to occupy it immediately. This can happen for several reasons, but the most common is that the seller may be purchasing a home, too. Usually, it is scheduled to close simultaneously with your purchase of their home. Although you have toured the property, looked at the walls and ceiling, turned on the faucets and played with the light switches, you have not lived in it. The seller has years of knowledge about his or her home and there may be some things you want to find out about as quickly as possible. For this reason, you will request certain disclosures as part of your offer. 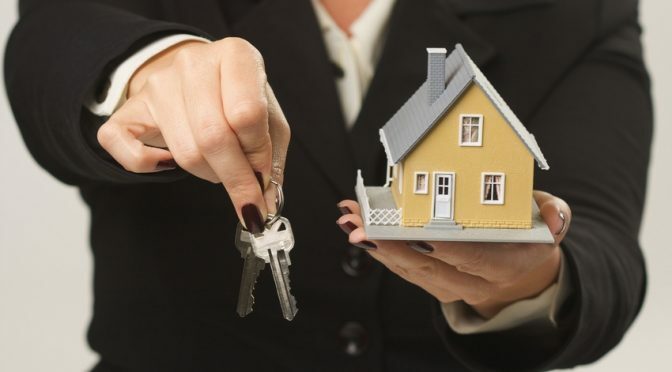 If you have an agent representing you, this is almost automatic, but many states do not require individuals selling their own home to provide you with this information. Often they do not require banks selling foreclosed property to provide these disclosures, either. Obtaining these types of disclosures should always be obtained if at all possible, and time is of the essence. The seller will want this inspection performed quickly, so that you can approve the results and move forward with the purchase. Once you receive the inspection, you will want to allow yourself sufficient time to review the report. Afterwards you will negotiate with the sellers on which repairs should be performed if any. It is important to keep in mind that your inspector will point out everything he/she can find such as nail holes in the wall. However, not all of these will be repairs that you will want to request. Many things may be cosmetic in nature and would not normally appear on the inspection/repair form as a requested repair. Before closing, you will want to revisit the property to ensure it is in the condition you have required in your offer, and to inspect that any required repairs have been performed. You should do this no sooner than 5 days before you intend to close. Most buyers do not have enough cash available to buy a home, so they need to obtain a mortgage to finance the purchase. Since you will probably make your purchase contingent upon obtaining a mortgage, the seller has the right to be informed of some of the details. Whenever you ask for incentives such as these, you will probably find the seller less willing to negotiate on price. After all, what you are really asking for is to have the seller give you some money to help you buy their house. The end result is that, for a little relief in the beginning, you are willing to pay a little more in the long run. The minimum term of the second mortgage can be five years. The minimum payment can be “interest only.” Longer mortgage terms and payments that also include principle are also acceptable. Your title company will act as an “independent third party” between you and the seller. Without having a third party involved, how do you know that when you fork over the money, you are going to get the deed? This is the type of service provided by escrow and settlement. They will coordinate much of the activity that goes on during the escrow period. Since this third party is very important to both you and the seller and both of you will pay fees to this company, it is important to choose which service you want to use. Since you do not buy a home every other week or so, you are probably unfamiliar with companies that provide this service. Your agent can make a recommendation. You have the authority to accept this recommendation or make your own choice. Keep in mind that the seller will also have a preference and you may not close at the same place. Whether there are additional costs involved in such an arrangement will come from the title company. Title insurance is important because, by providing you with an Owners Policy, the title company will insure that you have clear title to the property. If there are any problems later, you can always go back to the title insurance company and have them clear it up. Since it is customary for the seller to pay for the owner’s policy, they have an interest in which company is used. The lender’s policy is typically less expensive than the owner’s policy. As part of your offer, you will require a termite inspection. This company not only inspects for termite damage and pest infestations, but also inspects for dry rot and water damage, among other things. The company that performs the inspection is important to you as a buyer, because you want to be sure they do a good job. It is important to the seller because it is customary that they pay for the inspection and some types of repairs that may be required.